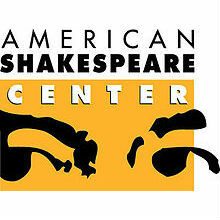 In response to the rise of anti-Semitic attacks across the nation, American Shakespeare Center Co-Founder and Director of Mission Ralph Alan Cohen has invited local Rabbi Joe Blair to participate in the Dr. Ralph lecture preceding the March 9 performance of The Merchant of Venice. Rabbi Joe Blair is the rabbi and spiritual leader of Temple House of Israel in Staunton and Congregation Beth El in Harrisonburg. He attended and graduated from the Reconstructionist Rabbinical College (RRC) in Philadelphia, where he earned a Master of Hebrew Letters. He serves as the Administrator and Webmaster for the Jewish Values Online project and as the Assistant Dean of the Gamliel Institute, the leadership training arm of the national organization, Kavod v’Nichum. Ralph Alan Cohen is Co-Founder and Director of Mission at the American Shakespeare Center and Gonder Professor of Shakespeare and Performance and founder of the Master of Letters and Fine Arts program at Mary Baldwin University. He is the author of ShakesFear and How to Cure It: A Handbook for Teaching Shakespeare. He earned his undergraduate degree at Dartmouth College and his doctorate at Duke University and has honorary degrees from St. Lawrence University and Georgetown University. The March 9 lecture will be an opportunity to discuss the ways in which the controversial play fits into the present cultural moment. The “Dr. Ralph” lecture begins at 5:30pm on March 9 and is free to the public. More information about the lecture and tickets to the evening performance of The Merchant of Venice can be obtained by calling 1.877.Much.Ado (540.682.4236), visiting AmericanShakespeareCenter.com, or visiting the Blackfriars Playhouse Box Office on 10 South Market Street in Staunton. Student, Senior, Military and AAA discounts are available.